Yes, They’re After Your Children: Cartoon ‘Drag Tots’ to Feature ‘Baby Drag Queens’ | Have Ye Not Read? In other words, it appears to be an online streaming drag queen TV network featuring things like homosexual “love stories,” documentaries about transgender “transformations,” onscreen performances by “drag queens,” as well as the new “Drag Tots” cartoon and (unfortunately) much more. “’Drag Tots’ tells the story of four pint-sized drag queens who attend grammar school, and navigate through adventures with the aid of a talking unicorn head, played by homosexual drag entertainer RuPaul himself. ‘Baby drag queens attend grammar school in this new animated series for kids and grown-ups of all ages!’ a description of the show outlines. Arugala, a Puerto Rican provocateur with a taste for trouble; and Lady Liber ‘T,’ an African American queen with a talent for putting haters in their place! The cartoon series is otherwise voiced by “drag queens” Adore Delano, Bianca Del Rio, Detox, Latrice Royale and Valentina. “How is it that these … fishermen and louts who had no advantage of the kind that we have enjoyed were able to turn cities upside down and shake the earth? In other words, the preacher asked how is it that the early Christians of St. Paul’s time — men and women who had no formal training, no particular community organizing skills, no seminary training, etc. — were able to transform the world simply by carrying forth the Gospel message with boldness and singular determination. I’ll tell you why Christians of today, though exceedingly more numerous than Christians of old, have not had a “corresponding effect” on this world in this final generation, and why that failure to have such a profound effect has led to today’s morass of iniquity being foisted largely upon our children. It’s because the early Christians of Paul’s time carried forth the Gospel message as if their lives depended upon it… as if it was the single-most important thing in their lives. But today, Christians are no longer activist by nature. Confrontation is not in their wheel house, so to speak. Instead, they’re lazy and complacent…most of them wouldn’t know the true Gospel message if it bit them on the nose…and they’ve all been taught that simply attending church once a week, or going to the occasional church bake sale, and avoiding the use of curse words is all that’s required of them if they want obtain salvation. Other than church attendance, choir practice, and the occasional bake sale and Christmas program, they’ve simply gotten so comfortable with the world and its grand smorgasbord of entertaining offerings they’re afraid to “offend” anyone with that pesky old Gospel of God that separates the wheat from the chaff. They’ve completely cast aside Christ’s admonition in Matthew 16:24-26 to “Take up your cross and follow Me” — a direct order from the Lord that His People are to engage the world with the Gospel message as a means of subduing the world to the Lord’s Word. This is essentially a statement of martyrdom, beloved. It means that just as Jesus refused to back down, but instead carried forth God’s Word to the multitudes, boldly and without fear or favor to anyone, so must every faithful Christian who professes to follow after Him do the same. But it does mean that we’re to prudently and yet relentlessly engage this wicked world with the Word of God — the Gospel message — and let the chips fall where they may. That’s because the Gospel, beloved, is a message of conquest through confrontation, followed by surrender and reconciliation. But if you’re fearful of the confrontation, you’ll never help achieve the conquest and reconciliation on His behalf. Christians who believe going to church on Sunday, singing in the choir and maybe attending a few church bake sales is what Christ meant by “take up your cross and follow Me” are simply deceiving themselves. Which choir did Christ sing in? Which bake sale did He attend? When He went to synagogue, did He sit meekly in the back row and nod His head at everything being said by the rabbis? Or did He get up and boldly teach the truth, confronting and contradicting the rabbis, shaking entire congregations to their core (Mark 1:27), casting our unclean spirits when they mouthed off to Him, and even taking a cat-of-nine-tails to the wicked moneychangers and overthrowing their tables? When He said “Take up your cross and follow Me” He was talking about dedicating one’s life to the singular goal of carrying forth the Gospel message to the multitudes, and thereby subjecting them to the truth of God’s Word and spiritually subduing them with it. Today, I barely know of any Christians who would actually put their necks on the line for Christ and His Gospel message. If it’s outside the purview of weekly church attendance, Sunday school for the kids, and the occasional church function such as a play or bake sale, it’s simply not up their alley. Christians today actually think you conduct spiritual warfare by going to church functions. But like any form of warfare, there first has to be an enemy and a confrontation with that enemy. And that’s precisely what Christians can no longer handle. In fact, they avoid it like the plague. Christians today rail smugly against the “snowflake” generation of Millennials, and yet they’ve become fragile little snowflakes themselves when it comes to doing as Christ commanded and carrying forth that precious Gospel message to a very inhospitable world. Christians today think they’re “saved” by virtue of having said “I do” when asked if they believe in Jesus and were then dunked under the water. Yet salvation, as Christ taught it, must be earned through the action of the spreading of the Gospel…yes, sometimes even by putting one’s very neck on the line for the Word of God, if necessary, as St. Paul did…St. Peter…St. Matthew…St. John…St. James…St. Luke, and many more, all of whom died for the sake of the carrying forth of the Gospel. It’s called bearing fruit, beloved, i.e., doing your part to help bring the blind to sight, the wayward sheep back to the Shepherd. In other words, if you’re not carrying forth that Gospel message to others, you’re going to be clipped off the vine (i.e., Christ is the vine), which means you’re going to lose that which you wouldn’t take the time to pass along to others. The whole point of Christianity is to bring others to Christ. That’s the work of the faithful Christian. It’s done by carrying forth that Gospel message of conquest, surrender and reconciliation. But what was His answer to these claims of great religious works? “And then will I profess unto them, I never knew you: depart from me, ye that work iniquity” (Mt. 7:23). That message actually chokes most Christians today. “Too militant,” they say, as a means of masking their own spiritual impotence. Christians of today have simply, and, largely without realizing it, “left thy first love” (Revelation 2:4). That is to say, they’ve ignored the carrying forth of the Gospel message because there’s potential pain and sometimes even suffering involved in presenting that contentious message. You see, the Gospel, taught correctly, is a very controversial message. It’s a hammer that bangs up against the global Satanic order and shakes it to the core because it robs Satan’s global synagogue of its membership — and by that I’m speaking of all false religion. The Gospel message makes friends for you of those who embrace it. But it makes enemies for you of those who resist it. Sometimes very vehement enemies. Absolutely ruthless, in some cases. But for modern Christians, it’s all about pursuing love, love, love. It’s not about risking your neck or potentially making enemies on behalf of the truth of God’s Word and of Christ’s redeeming blood. When you get so comfy and cozy with the world that you become too good to get into the mud and wrestle with the enemy over the the true Gospel message, you risk losing your own soul. Over the worldly goods you might lose if you use your hammer called the Word of God? Over the prestige you might lose in your community or social clique if you rock the boat? Over the way your neighbors might look at you if you make your faith and your beliefs clearly known? In Luke 17:32, Christ Himself gave His disciples the command to “Remember Lot’s wife.” It’s one of the shortest yet most powerful verses in the Bible. Yet not one in a thousand Christians can tell you today what it actually means, though the Lord commanded we make this remembrance. And why won’t Christians do what Christ said and take the time to “Remember Lot’s wife”? It’s because the point of the Lord’s command was to understand why Lot’s wife was turned into a pillar of salt by God Himself. She was turned into a pillar of salt (i.e., she was completely cremated by fire from above) because she valued the things of the world her husband and family were leaving behind, more than she valued doing the laborious (but life-saving) work of God. For more information, see the Bible study Remember Lot’s Wife. From the time Christ died on that cross at Calvary, the work of every true Christian has been to carry forth the Gospel Message to the world — that great message of spiritual conquest, surrender and reconciliation. Yet Christians today simply won’t take up the task. Too messy. Too laborious. Too risky. Too controversial. Too “politically incorrect.” Too much trouble. And that, beloved, is why today we live in a world in which, instead of shaking and ultimately conquering entire kingdoms as our Christian forefathers did through the carrying forth of the Gospel message, the kingdoms of this world are instead shaking and conquering us by shoving their perversions down the throats of our little children on a daily basis. 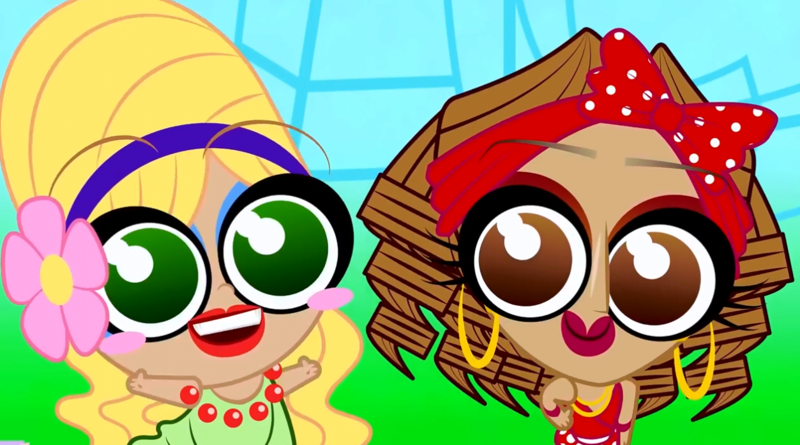 The new “Drag Tots” cartoon series debuting on streaming TV. Public libraries hosting “drag queen” and “drag queen” events for children. A new Netflix cartoon series featuring drag queen “super heroes” for kids. Transgenders becoming priests in the churches. The Boy Scouts bringing in homosexual scout leaders and transgender children. Christian churches refusing to refer to God as “He”. God Himself being referred to as “transgender” in the churches. Major churches embracing LGBTQ events. College students being kicked out of school for believing there are only two genders. All of these, beloved, are huge blaring billboard-sized signs demonstrating that Christianity has lost the battle because Christians quit engaging with the world by relentlessly carrying forth to them the true Gospel message of conquest, surrender and reconciliation. The church used to be called “the church militant and triumphant” — this, in reference to our Gospel work on this earth leading to our triumphant entrance into heaven afterwards. Yes, that’s what happens when the Gospel message is carried forth and taught the way it was meant to be. It indeed separates the wheat from the chaff by pitting the truth and the righteousness of Christ against the falsehoods and the wickedness of this world. When He rose from that tomb and ascended into heaven, He defeated Satan and his fallen ones in the heavens. And he made an open show of His victory for all of heaven to see. In the original Greek, it basically says that He lined them up and paraded them as captives in front of everyone so His victory would be witnessed by all. Are we ashamed of that heavenly victory He won for us with His shed blood? Are we ashamed to carry forth the message of His heavenly triumph over the evil ones who run this earth under the leadership of their god, Satan? Simply put, the Gospel of Christ states, “Accept My generous terms of surrender or suffer the consequences at judgment time.” But Christians today are far too comfortable and too timid to deliver those terms to a world spiraling straight into hell. Yes, Christians have become too good for the Gospel fight. They believe the bold carrying forth of the Gospel by the church militant — which is the body of Christ on this earth — no longer matters. So we now have what’s supposed to be Christ’s own many-membered body sitting on their hands and acting in open rebellion to His command to carry forth the Gospel message! And that’s why the body of the elect — Christ’s faithful “little flock” of Luke 12:32 — is the only part of the church that’s going to participate in the first resurrection at Christ’s Second Advent (Revelation 20:4-6). They will be the only part of Christ’s many-membered body who earned entry into the kingdom thanks to their works, which make them Christian overcomers. “All you have to do is believe,” they claim. Yet St. James, Jesus’ own half-brother, retorted to such a simplistic comment, “Even so faith [i.e., belief], if it hath not works, is dead, being alone” (James 2:17). How is it that these … fishermen and louts who had no advantage of the kind that we have enjoyed were able to turn cities upside down and shake the earth? And that’s why I write these commentaries, i.e., to get you to think about it while there’s still time to “turn cities upside down and shake the earth” with the Gospel message of conquest through confrontation, followed by surrender and reconciliation. Otherwise, prepare yourself for more transgenders, drag queens and LGBTQ perverts coming after your children in order to debauch them — mentally and spiritually — to the point they’re unfit for the kingdom of God when Christ arrives…a fault which will be (drum roll, please) your own.